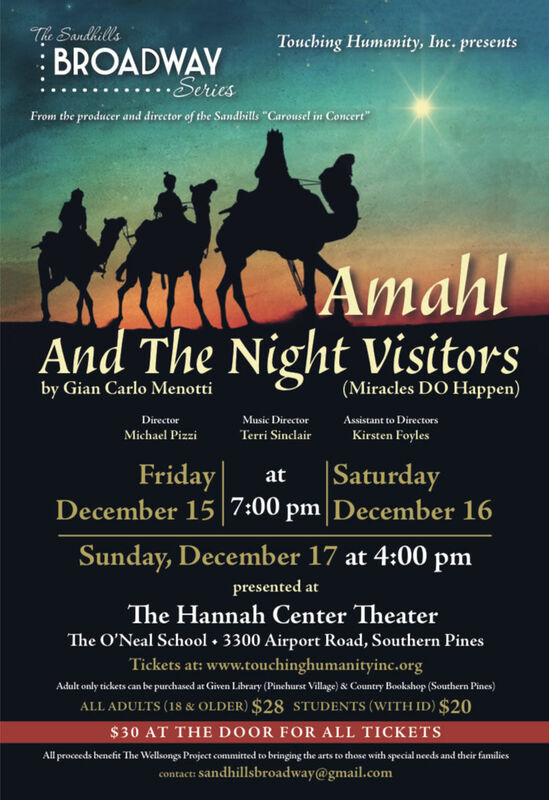 Come see this beautiful hour long Christmas story about three kings who stop over for a rest at the home of a mother and her child while they bear gifts for a newborn baby they heard about. Then – Miracles DO happen. Featuring opera professionals and local musical talents. LIMITED open seating. A holiday treat for each audience member too ! Enjoy dinner at Ironwood with a special priced holiday meal. 5. At Ironwood, you must produce your tickets or receipt for the special meal.